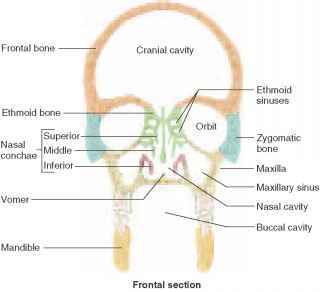 Your skeleton consists of about 206 separate bones, which range in size from the femur (the long bone in your leg) to the malleus, incus, and stapes (the three tiny bones in your inner ear). The skeleton matures and stops growing at about age 20, although the bone tissue itself remains alive and active, producing blood cells in the bone marrow and storing minerals such as calcium and phosphorus. Tendons attach your muscles to your bones to permit movement of the skeleton. Ligaments connect bone to bone and provide stability to joints. Any point where bone meets bone is a joint. Most, but not all, joints are capable of motion. 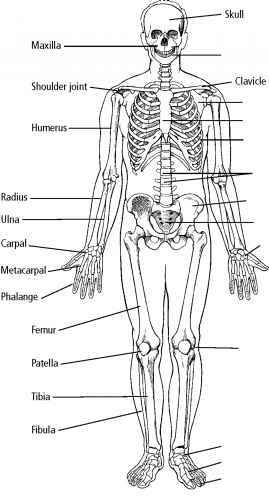 Your skeleton also supports your body and protects your internal organs.